Making a ‘Lip Dub’ Video is a lot of fun !!! On Tuesday 26th of November Deele College transformed itself from an institution of excellence and learning into a film studio as the students enthusiastically showcased a selection of the activities both educational and extracurricular that are on offer at Deele College. 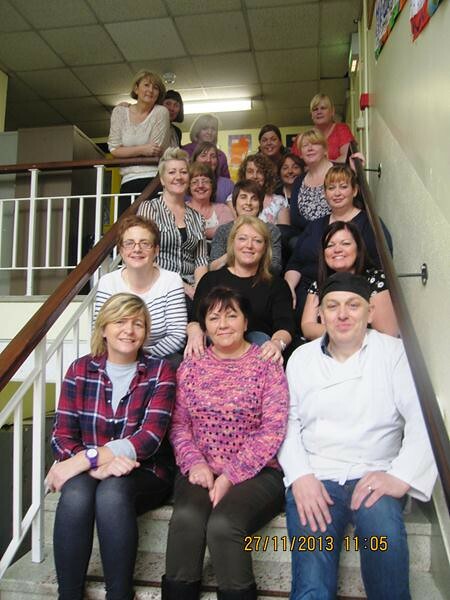 Parents and Chef, Frankie Duddy (also a parent of students at Deele College) pictured on the final day of Nutrition/Cookery course which was held on Wednesday mornings. Well done to Ms Freeborns’ 5th year home economics class who worked very hard preparing some wonderful food to celebrate American thanksgiving on Thurs Nov. 28th. It was lights, camera, action in Deele College this week, as the school shot a very successful promotional video, which will be available online in the coming weeks. The whole school was involved in this project and there were countless memorable moments on Tuesday during the shoot, most notably Mr Gallagher’s motorbike doing a tour of the corridors! The video, which showcases all that Deele College has to offer, featured the likes of World Champion Kick boxer Damien Duddy, Irish Boxing Champion Brett McGinty and a whole host of other students who have represented the school with distinction in recent years. 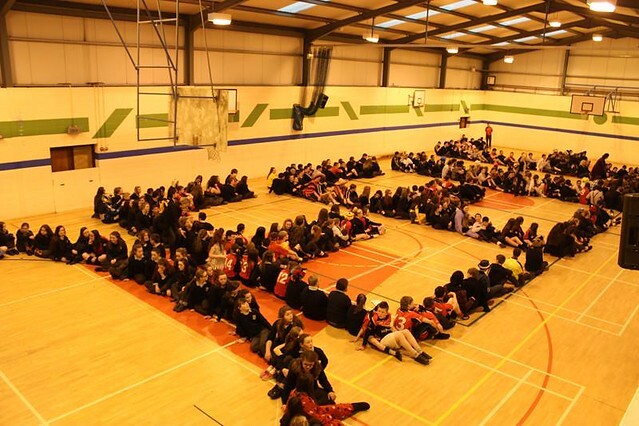 It was yet another busy week in Deele College, with many of the school’s teams in action this week. 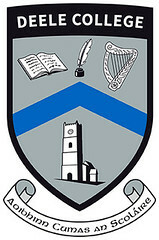 On Monday, the school’s u-17 soccer team were very unlucky, going down 2-1 against a very strong Carndonagh side in the National U-17 Cup. On Tuesday, the u-15 Girls’ team had a comfortable victory over Finn Valley, while the boys’ u-15 team were in cup action against Buncrana on Wednesday and after an action packed 90 minutes emerged victorious with a final score of 7 – 5. 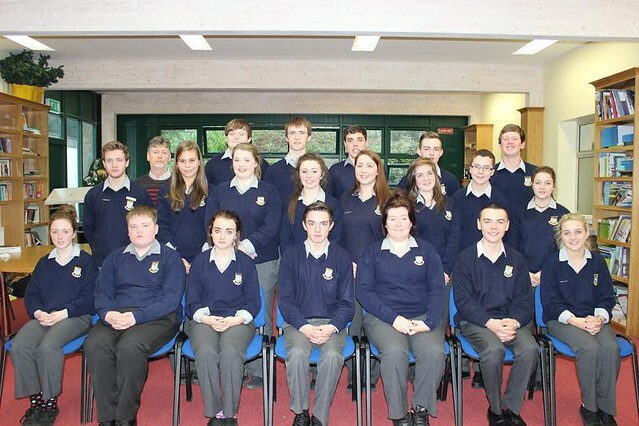 The school organised a very successful ‘Proverb Competition’, which raised €680 for the school tour fund. 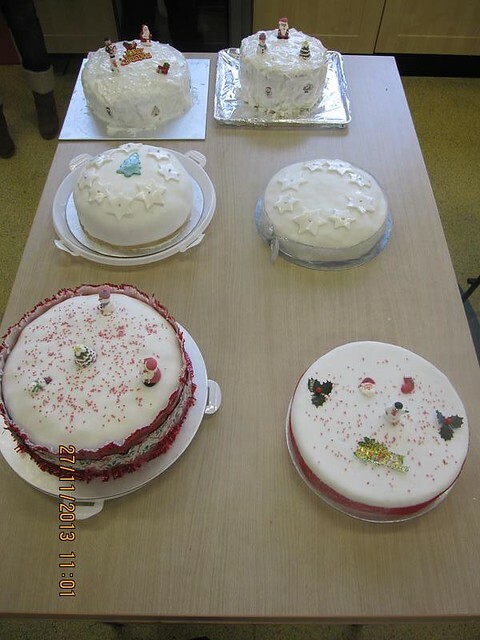 The winners of the competition were; 1st: Niamh Lynch, St Johnston. 2nd: Yvonne Hanson, Cranford. 3rd: Gavin Meehan, Raphoe. 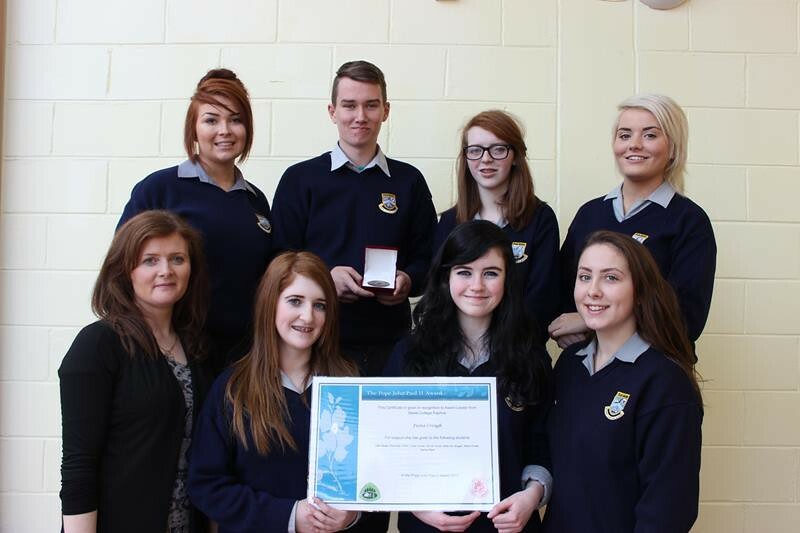 We would like to Congratulate Tianna Ward, Ellen Boyle, Nicole Harper, Conor Jordan, Fionnuala Allan, Kelly-Ann Brogan and Niamh Porter for their recent achievements in the Pope John Paul II Awards. These students have worked tirelessly over the past two years, volunteering in their local community and school community. Well done to all the students for their hard work and their award. 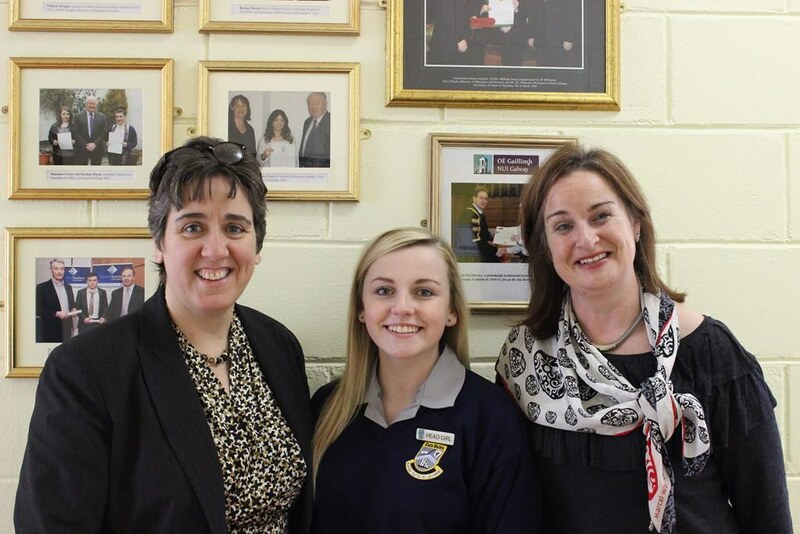 Congratulations also to Cora Higgins, who was the recipient of a prize during the LYIT Open Day, last week. 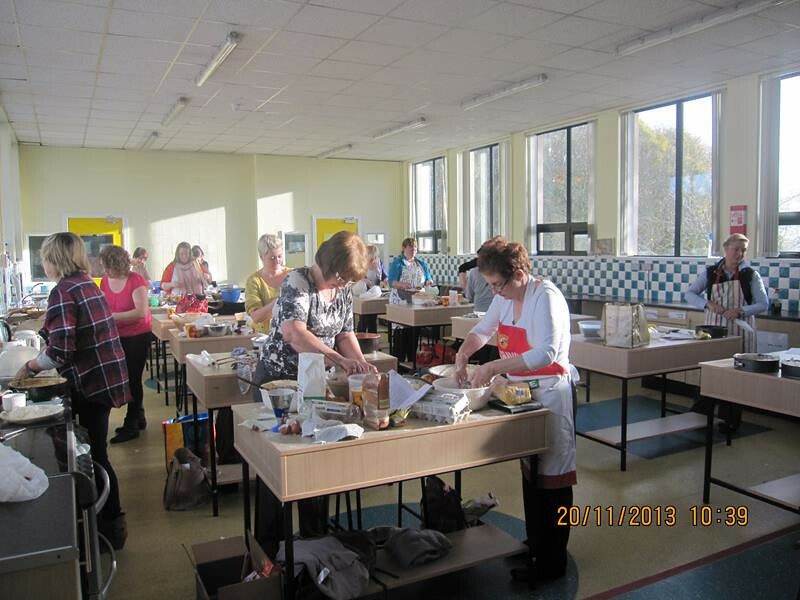 The school hosted a very successful nutrition and cookery class last week for parents and guardians. This class gave parents an opportunity to see what foods were essential for students studying for exams and those looking to lead healthy lifestyles. Congratulations to Cora on winning the LYIT open day prize. Congratulations to Tianna Ward, Ellen Boyle, Nicole Harper, Conor Jordan, Fionnuala Allan, Kelly-Ann Brogan, and Niamh Porter for their recent achievements in the John Paul 11 Awards.